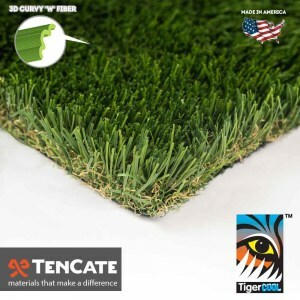 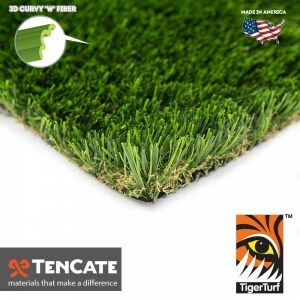 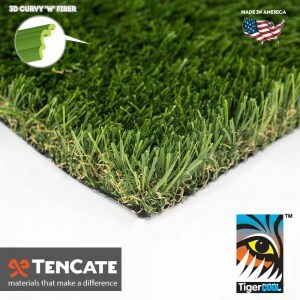 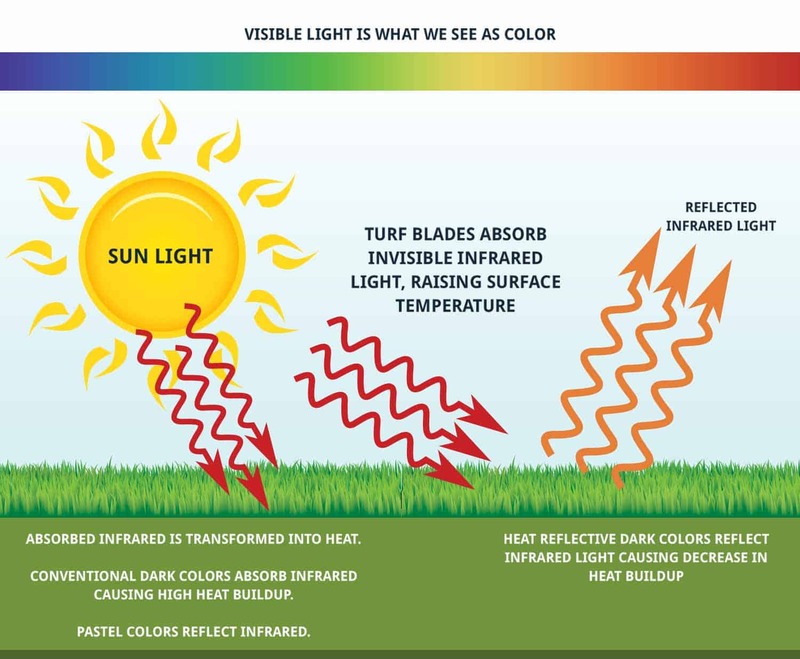 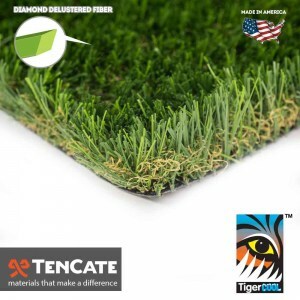 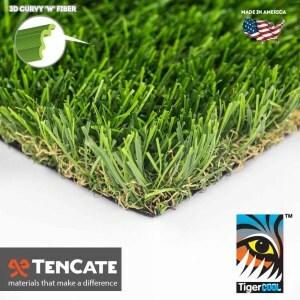 Synthetic Grass Warehouse is proud to introduce TigerCool® Heat Reflective (HR) technology, the latest in artificial turf cooling improvements. 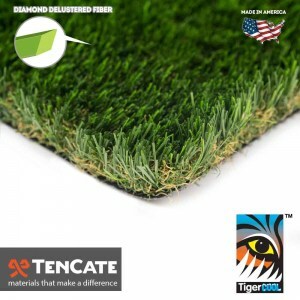 TigerCool® is now featured on the majority of our best-selling products. 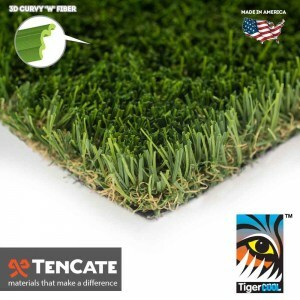 Our products are guaranteed to last while you cool your heels on our turf for years to come! 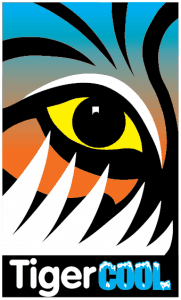 Just look for the badge and experience the difference for yourself. 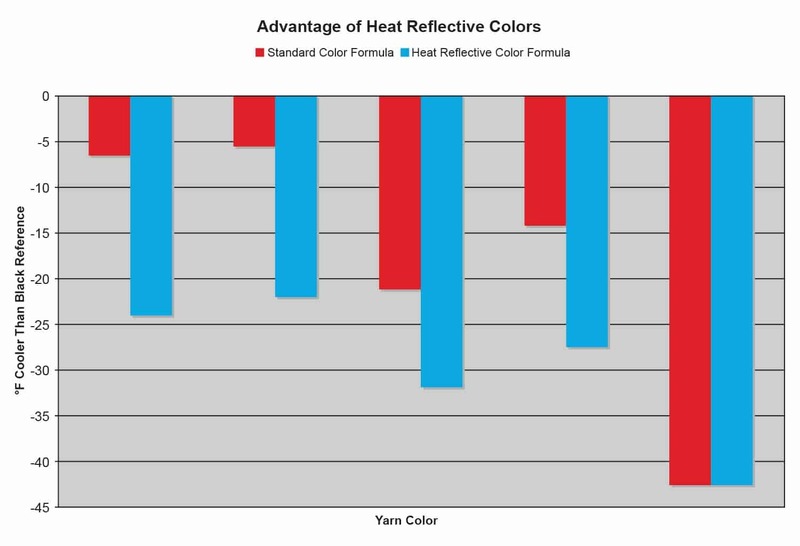 In order to achieve maximum temperature measurement accuracy and consistency, all comparative data were collected from 250 μm thick film samples instead of monofilament fibers or finished carpet. 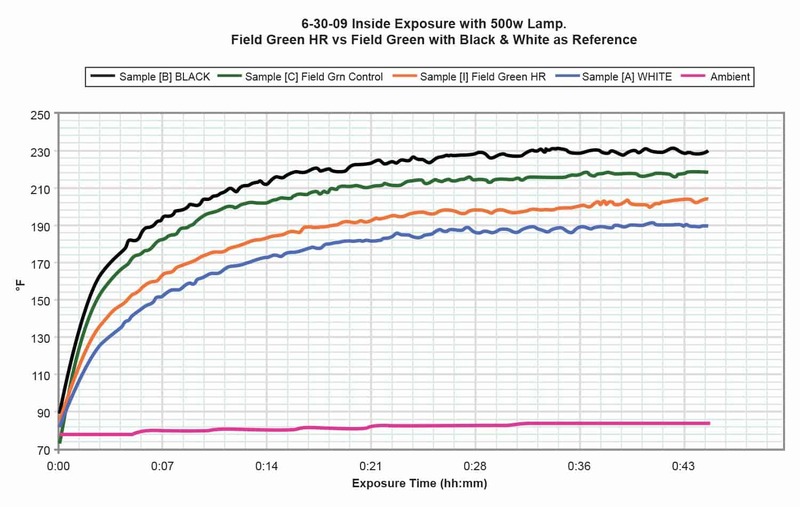 Graph 1: Temperature build-up vs. exposure time in Field Green Color Standard vs Field Green HR Formula. 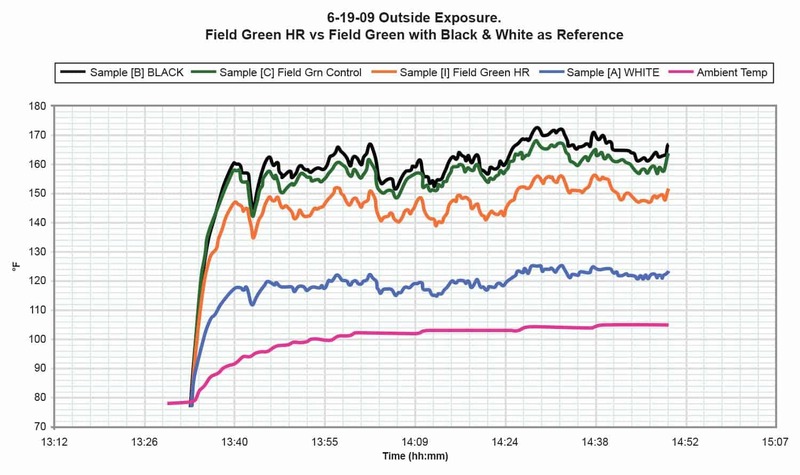 HR formulation Improvement vs Control at exposure temperature greater than 140 degrees F.
Graph 2: Temperature build-up vs. exposure time in Field Green Color Standard vs Field Green HR Formula.